Artificial Intelligence platform, Talent Ticker, has revealed the impact Brexit is having on those working in the financial services industry. A review of the platform’s data has revealed an increase in the number of financial services companies expanding to open European offices, and even completely relocating from the UK in favour of offices in EU member states. While London remains a hub for the financial services industry, companies have generally shown caution in hiring in the city in recent months. Talent Ticker’s investigation has revealed a 30% increase in banks making job cuts compared to the same period in 2017 which suggests that the UK could be losing out as a result of Brexit. For example, investment bank J.P. Morgan, for example have reportedly made 300 employees agree to move to France or Germany in the event of a no-deal Brexit, as the firm seeks to reduce risk of disruption by a hard exit from the European Union. Talent Ticker predictive analytics reveals that the industry is likely to see more companies follow suit. Ireland, France and Germany are the most prominent countries likely to see an influx of financial services employees according to Talent Ticker with Frankfurt the most popular destination. Luxembourg is also a likely place for relocation according to the AI platform. According to Talent Ticker, the financial services roles most at risk of being lost to European locations include; private banking, trading, sales, operations, middle office and Risk & Compliance. The AI platform has found that banks are relocating away from London and the UK, cutting down on costs in the UK in search for more stable and cheap alternatives. 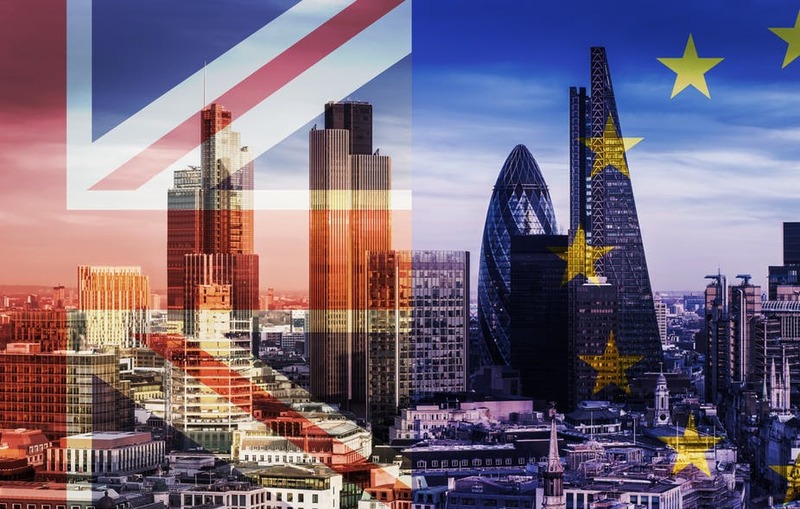 In the event of a no-deal Brexit, Talent Ticker predicts that more and more financial service firms will move out of the capital to allow them to continue trading within the EU. Although many traditional financial services firms are shying away from London and the UK, other major UK cities such as Cardiff, Bristol, and Glasgow are becoming hubs for technological innovation, with emerging fintechs appearing across the UK every week. Talent Ticker data shows low cost centres such as Glasgow has seen an 80% increase in jobs created in the financial services industry.